Sign up below for Kansas City Chiefs tickets and travel package information with PRIMESPORT, the Official Hospitality & Fan Travel Partner of the Kansas City Chiefs. Your Chiefs will take on the Los Angeles Chargers in Mexico City in 2019. Take your Chiefs pride to the next level this season with an Official Chiefs Fan Package from PRIMESPORT. 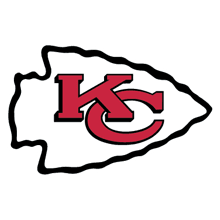 Sign up for Kansas City Chiefs game information! Are you searching online to buy Chiefs tickets but want a little something extra on game day? The Kansas City Chiefs have partnered with PRIMESPORT to bring fans official ticket packages complete with exclusive access to the Chiefs Tailgate in addition to Kansas City Chiefs game tickets. Browse the list of home games on the 2019 Chiefs schedule, pick your game, select your seats, and away you go! For those fans that have already purchased their Kansas City Chiefs tickets, we are also offering the opportunity to buy Chiefs Tailgate tickets separately. This pregame tailgate experience begins 3.5 hours before kickoff and includes food, drink, live entertainment, and of course, television coverage of the weekend's other NFL games. Located outside of Arrowhead Stadium, the official Chiefs Tailgate is the only way to pregame! Whether you're a displaced Chiefs fan looking to take a vacation back to the home of The Chop, or a local searching for a premium road trip for the 2019 season, PRIMESPORT and the Kansas City Chiefs have a variety of Official Hotel Packages to fit the bill. Chiefs home game package include a two-night stay at the Westin Crown Center, admission to the Official Chiefs Tailgate, souvenir, and Chiefs tickets. Chiefs game tickets, souvenir, kickoff event access, guided stadium tour, and two night hotel accommodations await you in Texas for this high-profile match-up. PRIMESPORT is the Official Hospitality & Fan Travel Partner of the Kansas City Chiefs. The terms NFL® and Super Bowl® are trademarks of the National Football League. PRIMESPORT is a division of On Location Experiences.